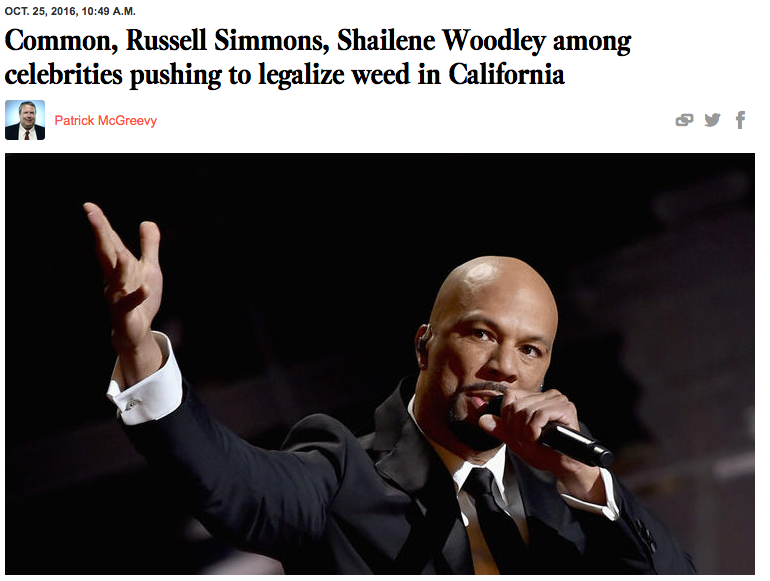 Top celebrities including Common, Tim Robbins and the author of the “Orange is the New Black” memoir are joining forces in what they are calling “Artists for 64” — the effort to legalize recreational use of marijuana in California. Jay Z, who last week put out a video calling the war on drugs an “epic fail,” also signed on to the effort. “I am shocked and saddened by the harm that marijuana criminalization brings, especially for communities of color,” Wilde said in a statement. 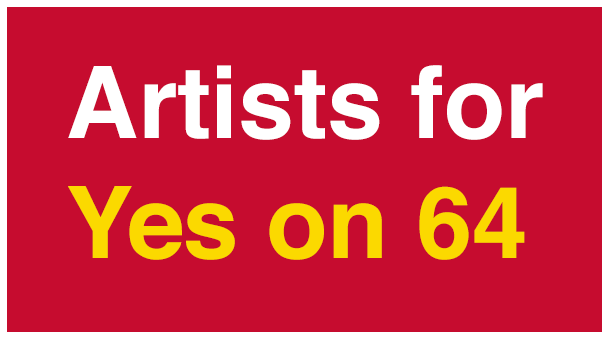 The campaign against Proposition 64 said Hollywood celebrities are not the most credible endorsers, charging they are out of touch with the reality of drug abuse in many communities in the state. “Today the No on Prop 64 campaign did a press event in Fresno with faith and community leaders who know that the problems that recreational marijuana creates will impact these communities and neighborhoods across California not Hollywood,” said Andrew Acosta, a spokesman for the opposition campaign. In a video produced by Dream Hampton and included on the website, former Golden State Warrior Al Harrington talks about how marijuana helped him overcome pain and inflammation during a staph infection and helped his grandmother with her glaucoma. “I’m a California voter and I’m voting `yes’ for Prop. 64,” he says. Williams spoke from personal experience. Drug Policy Action, an advocacy group backing Proposition 64 to legalize the drug for recreational use, paid for the site.